I am looking to copy over a conditional format that changes the colour of an array of cells when checking a checkbox. This works perfectly fine on the first checkbox. 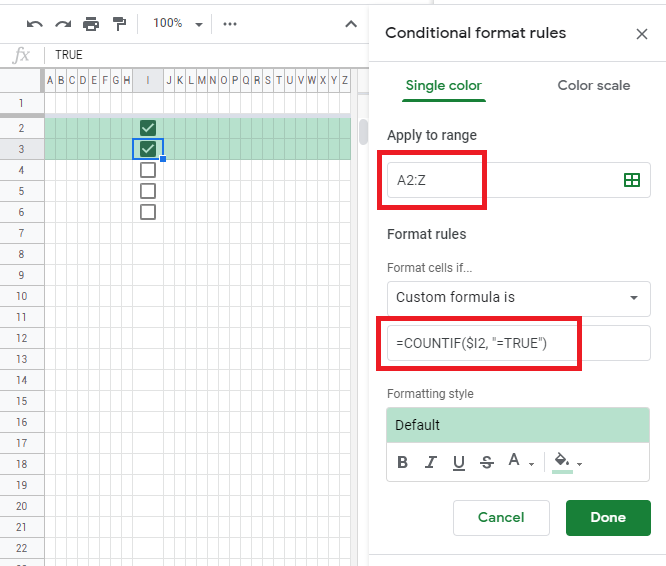 However, when I try to replace all the other checkboxes on the spreadsheet with the conditionally formatted cell by dragging down the box, it then messes up all of the formattings. As seen in the picture below. There has got to be an easier way to do this than to have to create a new rule for every cell. Any help would be greatly appreciated.